First app that allows members to earn their preferred frequent flyer miles form everyday spending. 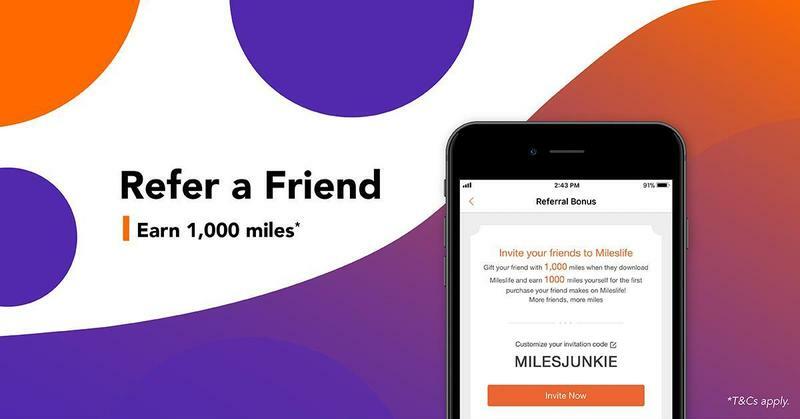 Mileslife was launched to help our members earn miles much faster! Mileslife is the only lifestyle+travel mobile app which allows members to earn their preferred frequent flyer miles from everyday spending such as dining and lifestyle activities at over 3000 merchants on top of their credit card miles. Some of our existing merchants includes Peach Garden, Shangri-La, Capella, Crystal Jade and many more. Your accrued miles are credited directly into your selected airline’s frequent flyer account. Mileslife currently partners with over 14 airline loyalty programs as Singapore Airlines KrisFlyer, Emirates Skywards, British Airways Executive Club and United Airlines MileagePlus etc.